Magnolia Radio Lab Advertisement - Would You Believe It? 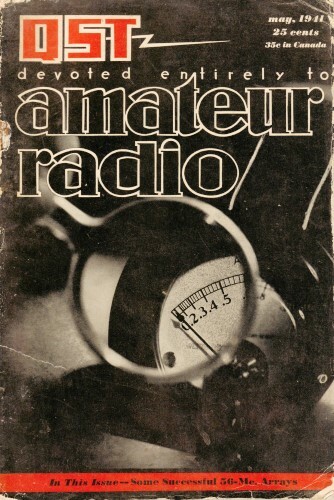 A regular feature in the ARRL's magazine QST during the early days of radio was "New Receiving Tubes." It usually had your standard editorial listing of products, but the May 1941 installment included a comic commissioned my the Magnolia Radio Lab people that is done in the manner of Ripley's Believe It or Not. I'm guessing that there really is no Magnolia Radio Lab because nothing came up on a fairly extensive Internet search for the company. Most good humor has an element of truth in it that makes the subject matter believable - almost. These three comics meet that criterion. "Gil - W1CJD" (aka Philip "Gil" Gildersleeve ) was the artist. A shipwrecked sailor was rescued after sending an S.O.S. by sparking an electric eel to an aerial made of wire grass. Lightning-bug QRN made reception impossible on the world's shortest wave receiver, built by Prof. Mildew F. Pinkwhiskers.